Pav Singh is an Advocate at the Wiener Library for the Study of the Holocaust and Genocide and a member of the Magazine and Books Industrial Council of the National Union of Journalists. In 2004, he took a year out to India to research the 1984 project, met with the victims and witnessed the political fall-out and protests following the release of the Nanavati Report. In 2014, he worked with Delhi-based photographer Gauri Gill to produce the exhibition The 1984 Anti-Sikh Pogroms Remembered in London. His latest book is 1984 India’s Guilty Secret. Last modified on 2018-10-09 11:29:07 GMT. 0 comments. Top. 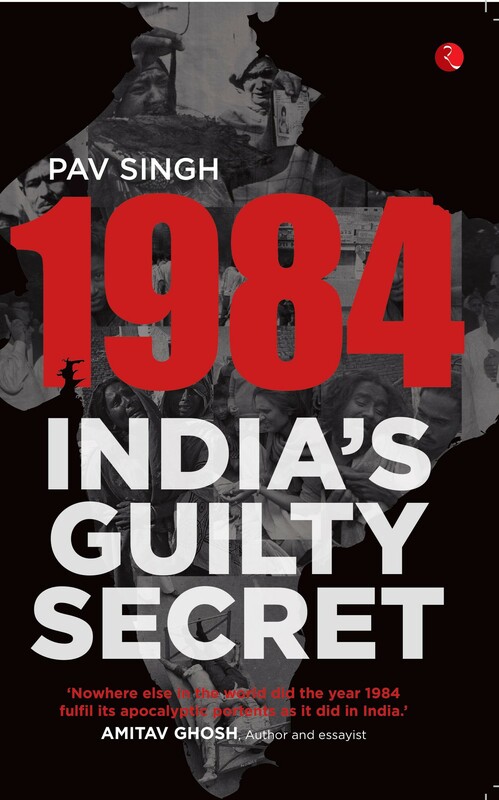 1984 India’s Guilty Secret has been written to coincide with the current political and social discussion both in India and the Indian Diasporas surrounding the genocidal massacres of November 1984 and the imminent re-investigation, so often referred to as the ‘anti-Sikh riots’. The author dismisses the notion that it was anything but a ‘riot’ and believes the use of language has distorted what actually took place. Based on witness testimonies, hitherto hidden for 32 years, it sheds light into one of the darkest chapters in post-independent India. It is one of the most comprehensive studies into November 1984 and the cover-up that still continues, three decades on.